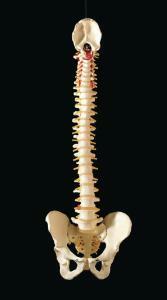 This spine is fully flexible and designed for hands-on demonstrations. 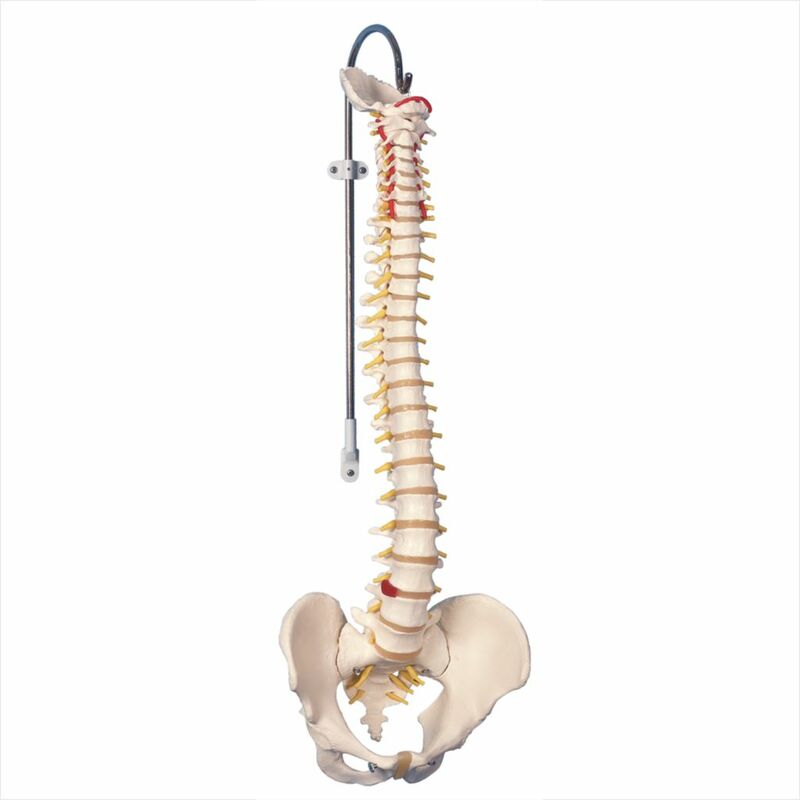 The spine contains these features: Full pelvis and occipital plate, Fully flexible mounting in spine, L3-L4 disc prolapsed on spine, Spinal nerve exits, Cervical vertebral artery, Male pelvis . 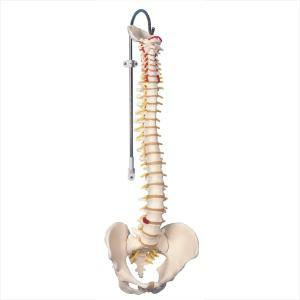 Accessories information: A stand is not included with this model, and can be purchased separately .